Imagine an Amusing Game with a traditional macho twist! Yap, that’s coming up in December. Hurry up and book yourself a place for the penultimate challenge of the year. A rocky river stream or a miniature waterfall? Sabah is full of them. Some are spectacular and some are mediocre. Some are public properties, some are privately owned. All in all, they are all for a good day out. Picnic, anyone? Yes, please! As long as it’s your treat. Surprises always await you as you cruise around Donggongon town. 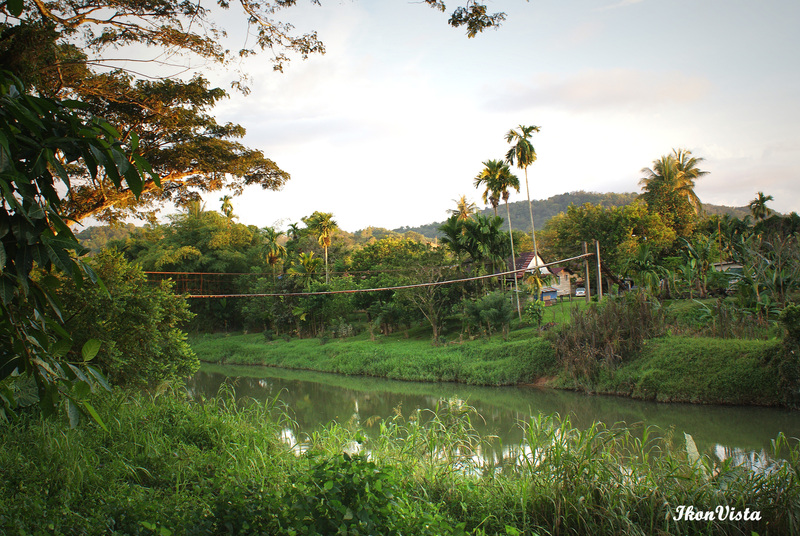 Bang right in the outskirt of the town comes another breathtaking stunner- a suspension bridge hung in the air across to the other side of Moyog River. The scenic view of the place is really quite striking. Should you feel like taking a stroll across the bridge with the wobbly plankway , do take your time to enjoy the scenery right before your eyes. The bridge will sway from side to side as you walk across the plank, so do watch your steps. There is a rapid roaring downstream on the right hand side. Coupled with the gorgeous view, the rapid scenery truly gives a fantastic perfect end to a perfect day. You can see more of the picturesque scenery here. From Donggongon town take the Penampang-Tambunan Road until you reach a place called Kasigui Water Treatment Pant. Opposite and right in front of the bridge there is an abandoned shop lot, so do watch out for the bridge. It is highly advisable to take a taxi or hire your own private car. This place is not the usual tourist haunt, so to get there requires a bit of ingenuity and effort.